For September’s first recipe I tried something a little different to my usual buttery drop cookies with a recipe from “The Cook’s Encyclopedia of Cookies” by Hilaire Walden. 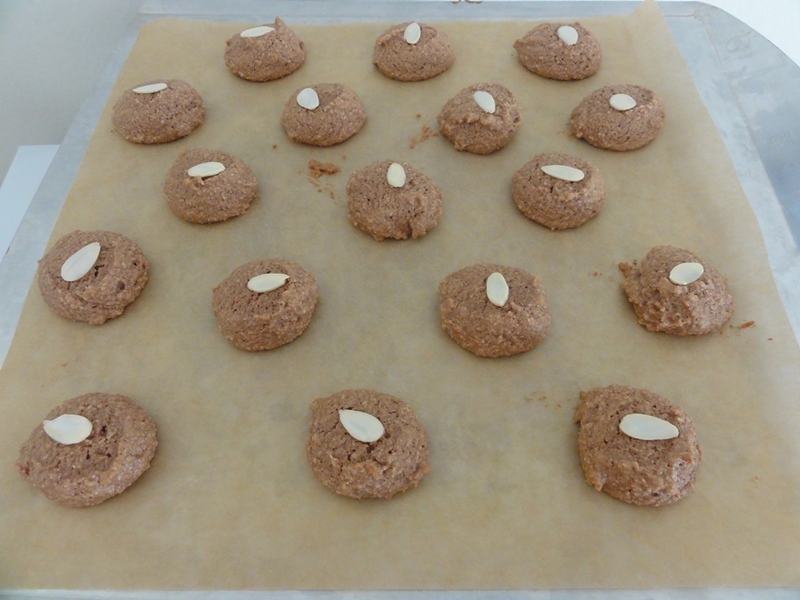 These amaretti are almond flour cookies, thus implicitly gluten-free, and contain no butter. By weight they are primarily made up of almond flour and sugar so they taste pretty good, too. The ambitious part for me was beating egg whites for the base, generally one of the more delicate tasks in baking, but I’m happy to report that it worked out just fine and I wound up with some delightful cookies. I wasn’t at all certain what the final texture of the cookies would be, having not had any experience baking egg-white-based cookies before. 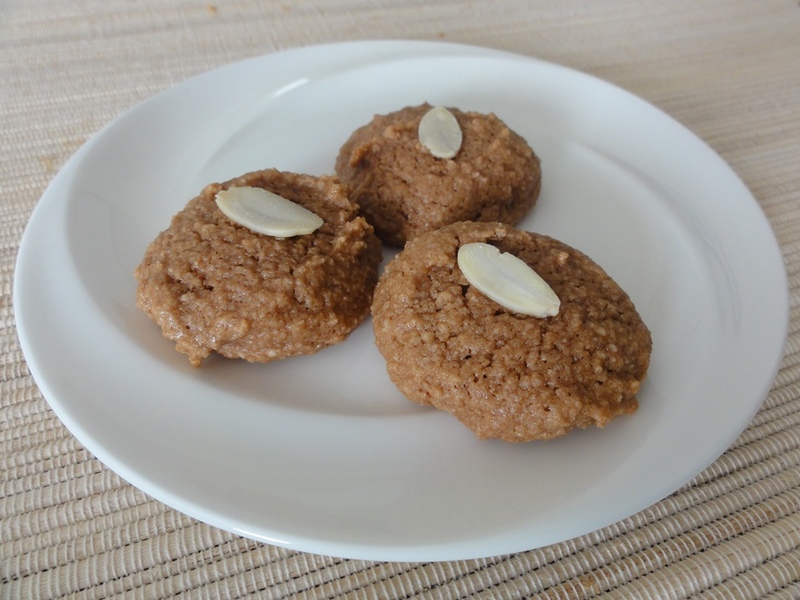 The end result is a chewy cookie that tastes and feels light instead of the rich, heaviness of a butter cookie (not that there’s anything wrong with the latter). This is complemented particularly well with a strong almond flavor and a subtle hint of chocolate from the cocoa powder. I had wondered if they’d be more of a crunchy sugar cookie, but instead got a chewy sugar cookie, and I’m not at all disappointed by this outcome. One other nice thing about this recipe is that they’re fairly quick to throw together. You also only get a couple dozen at most, which is a little less overwhelming than some other cookies that I’ve made and sometimes that’s nice, too. One last note up here; two of the ingredients for this recipe, superfine sugar and cream of tartar, were a little tricky to come by. See the “Thoughts” section below for how that worked out for me. Preheat oven to 350°F and line your baking sheets with parchment paper. 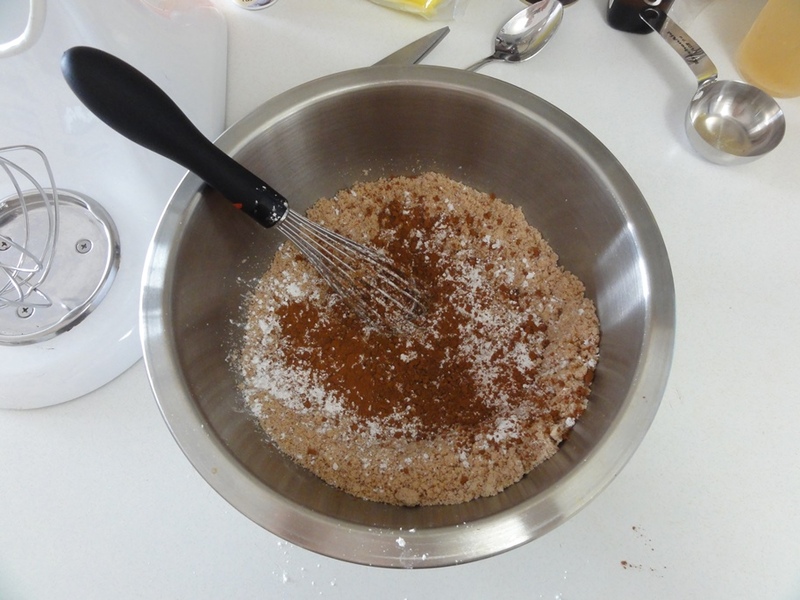 In a medium bowl whisk together the almond flour and 1/4 cup of the superfine sugar. 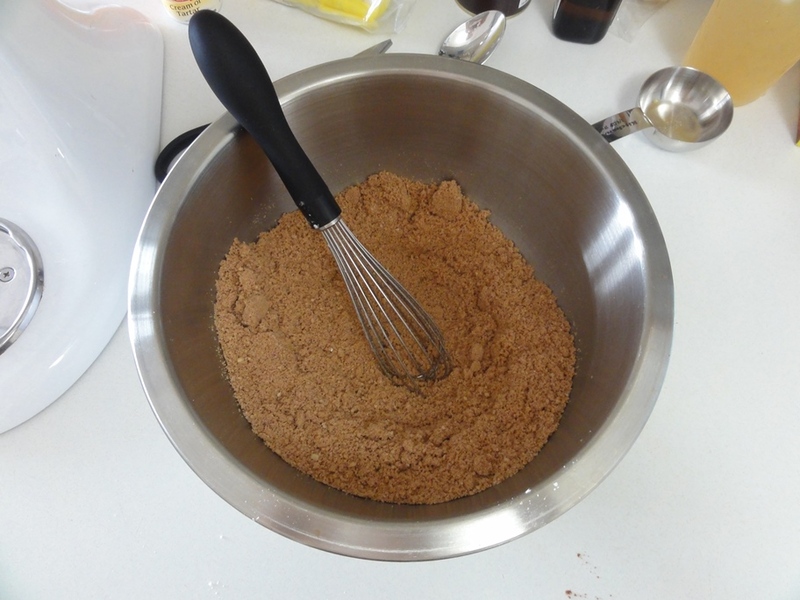 Sift in the cocoa powder and confectioner’s sugar and whisk to a consistent texture and color. 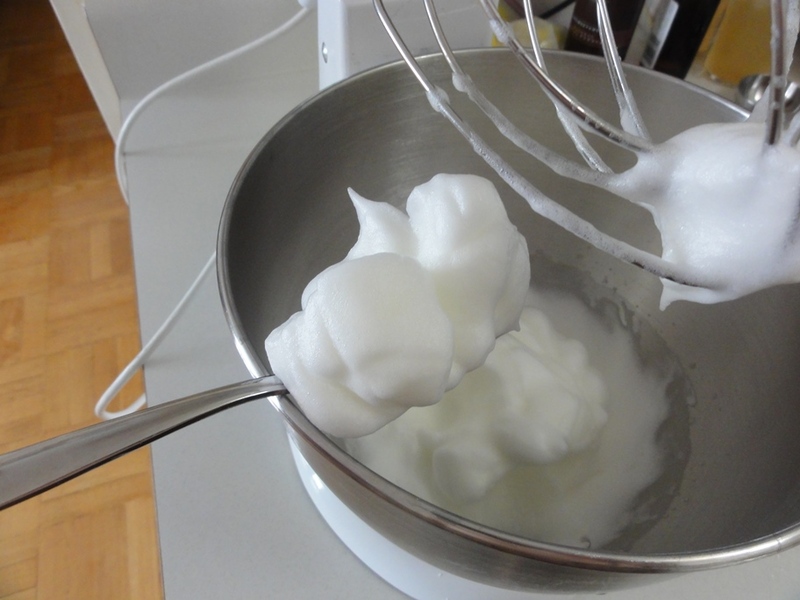 Beat the egg whites and cream of tartar on high speed until stiff peaks form; about 2-3 minutes. Sprinkle in the remaining superfine sugar a tablespoon at a time, beating well after each addition, and continue beating until the whites are glossy and stiff; this should only take about a minute. Beat in the almond extract on medium speed until well-combined; about 30 seconds. 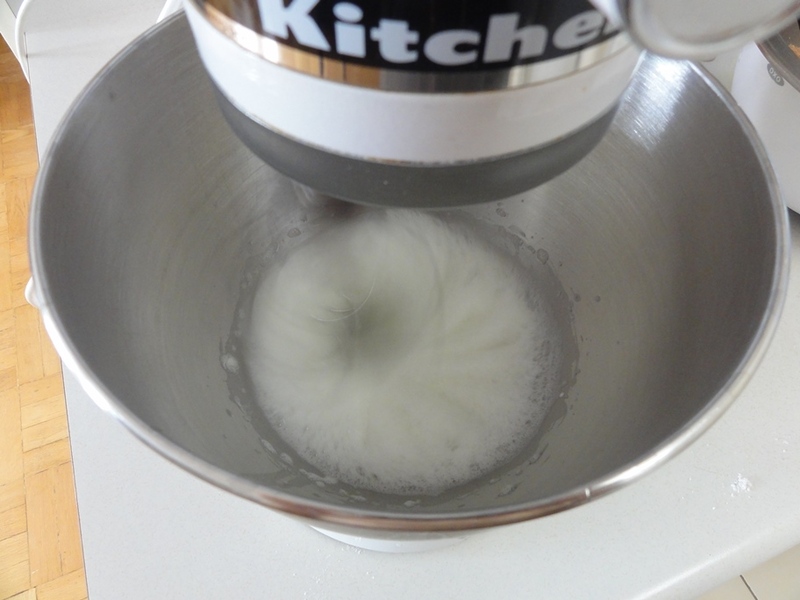 Sprinkle the almond-sugar mixture over the eggs whites and gently fold until just blended. Spoon level tablespoonfuls of dough onto the baking sheets. 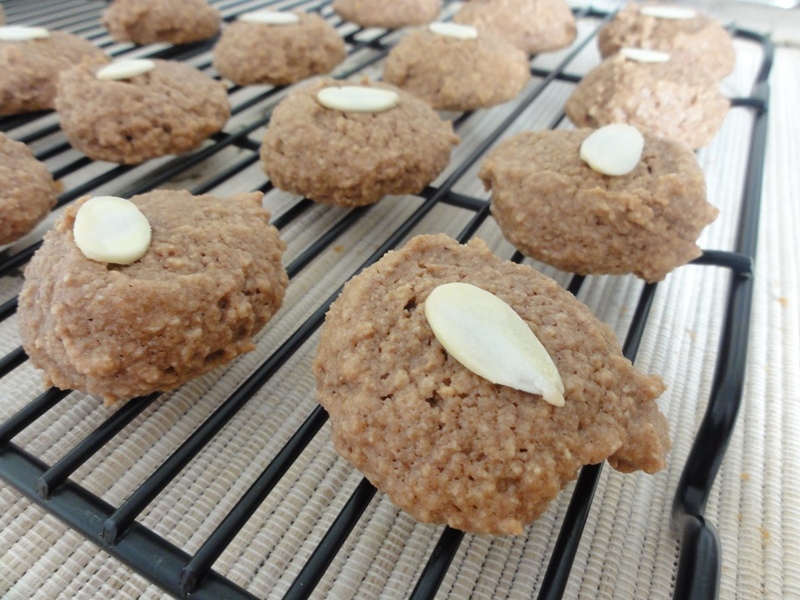 Press a slivered almond into the center of each cookie. Let the cookies cool on the sheets for 10 minutes before transferring them to wire racks to cool completely. The original recipe called for spooning the cookie dough into a pastry bag fitted with a plain, 1/2-inch nozzle and piping 1 1/2 inch cookies onto the baking sheets. I was not inclined to do so and applied my time-honored tradition of measuring out level tablespoonfuls of dough and spooning out rough circles onto the sheets. The dough is certainly pliable enough to pipe, however, and if you’re handy with piping you’d get consistent and better-looking cookies than I did. Superfine sugar was not something that was readily apparent to me at my local supermarket but I eventually came across “Instant Dissolving Sugar” from Redpath that served just fine for my purposes. Domino brand sells it specifically by the name “Superfine Sugar” but Redpath has the corner on the market up here and Domino isn’t even at my supermarket. Regular sugar, even if it says “fine” on the label, isn’t quite the right thing because the grains will be too big whereas confectioner’s sugar will be too finely ground, so you need something in between. Yes, apparently these cookies are just that delicate, but if you do go to the effort to pick up the right kind of sugar you’ll be well rewarded. The other hard-to-find ingredient was cream of tartar. Considering that only 1/16 of a teaspoon was called for I searched around on the internet to find out how important folks thought it was but got mixed reviews on whether it was safe to go without. I was finally able to find it in the baking aisle at a Target, of all places, but if you’re not so lucky it’s possible that these cookies can be made without the cream of tartar and you’ll still have perfectly tasty, light, delightful cookies. 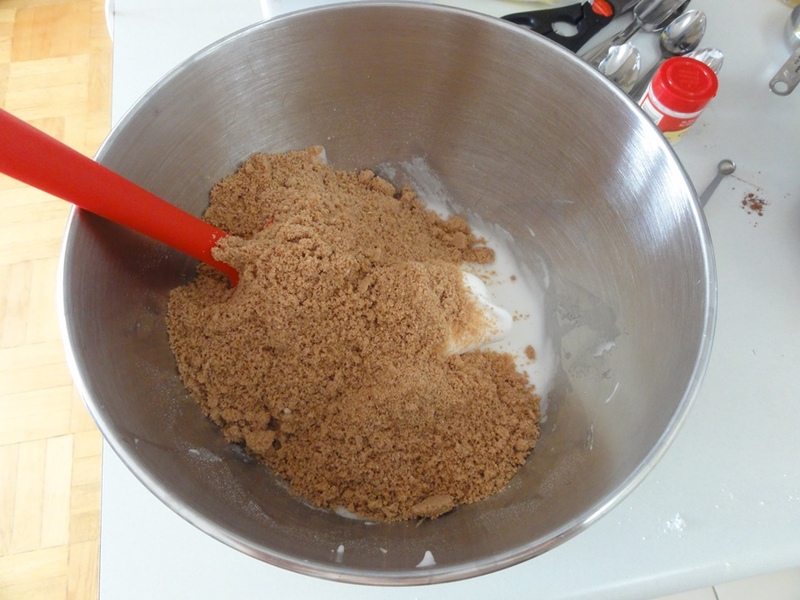 Start by mixing together your flour and half of the superfine sugar. Make sure you only use half! 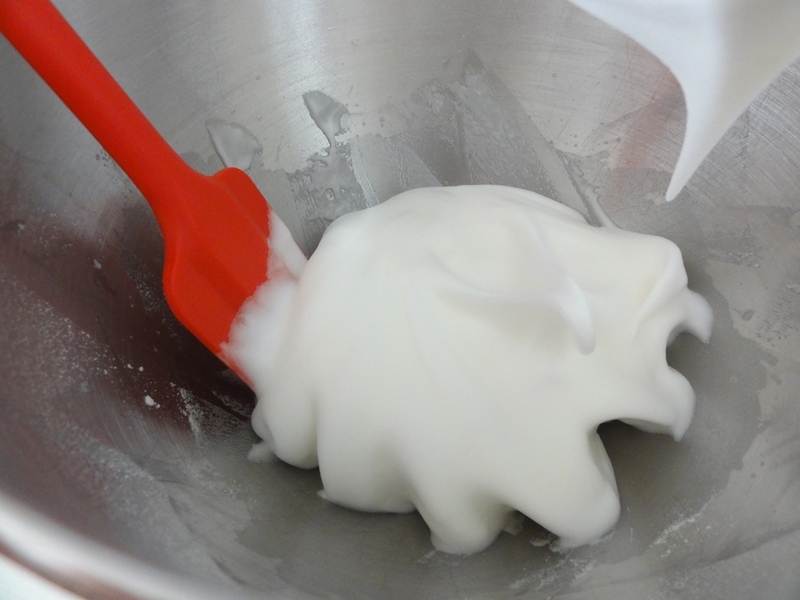 The other half will get added to the egg whites to make them shiny. 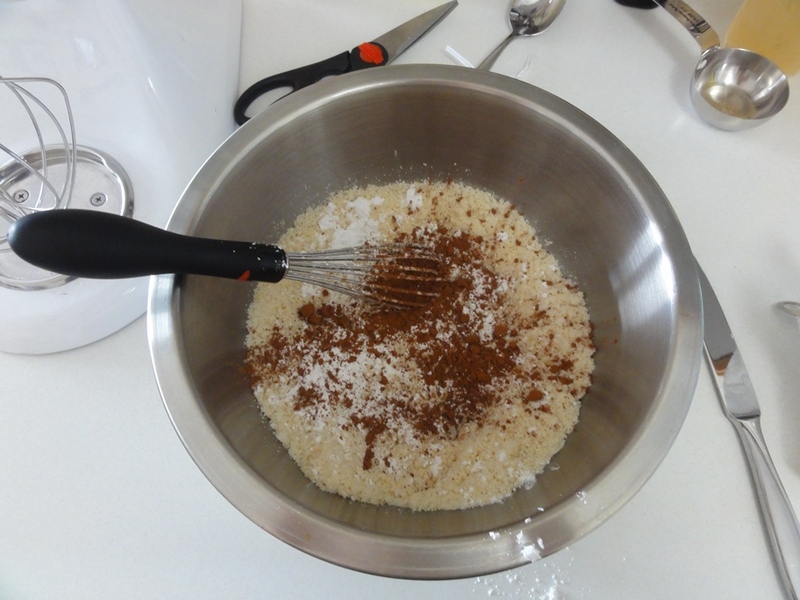 I don’t happen to have a sifter so to “sift in” the cocoa powder and confectioner’s sugar I just added half of their respective quantities, whisked until well combined, and then repeated. 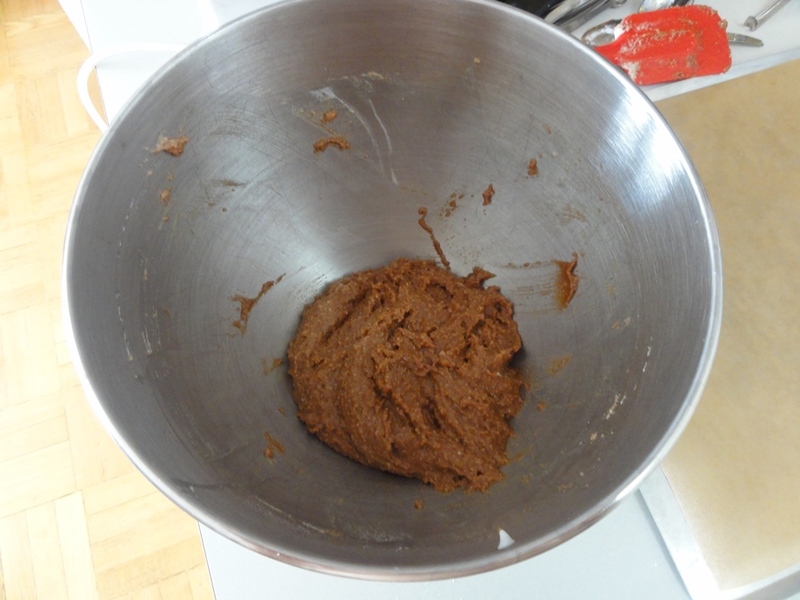 Once all of the cocoa powder and confectioner’s sugar are in you can keep whisking until it all looks uniform. I think this is the first time I’ve had my Kitchenaid on its highest setting, which is a little scary to watch. To the best of my knowledge this is what is generally meant by “forms stiff peaks” in that the fluffy egg white mixture holds its shape. Glossy, stiff peaks might be a little hard to get across in a photograph but hopefully you can see that after beating in the 1/4 cup of superfine sugar the egg whites do appear smoother. The almond extract won’t change how the egg whites look so just beat it in for 20-30 seconds to make sure that it’s thoroughly blended in. 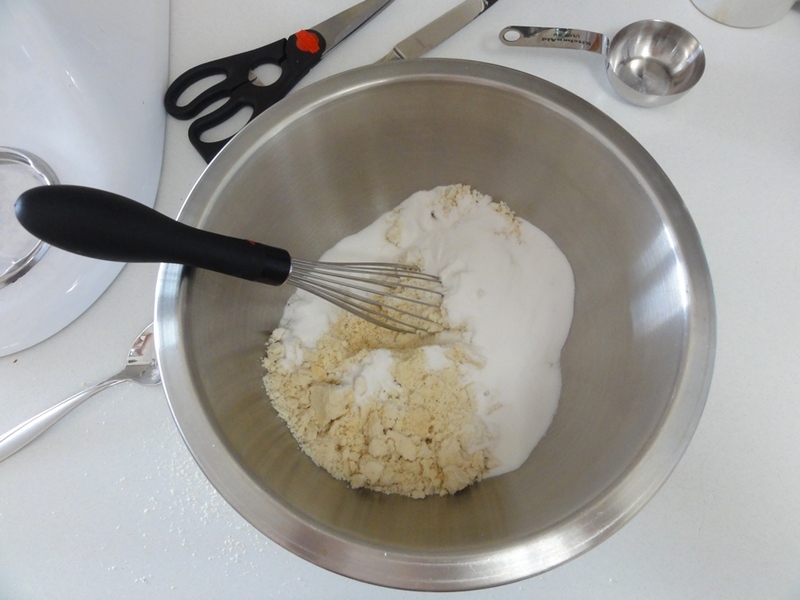 The fluffy, sugary egg whites might give the impression that you’re going to have a lot of cookie dough, but once you start mixing in the flour mixture the egg whites deflate. This is why the recipe tells you to be gentle with blending; don’t beat the heck out of the egg whites to mix in the flour mixture. 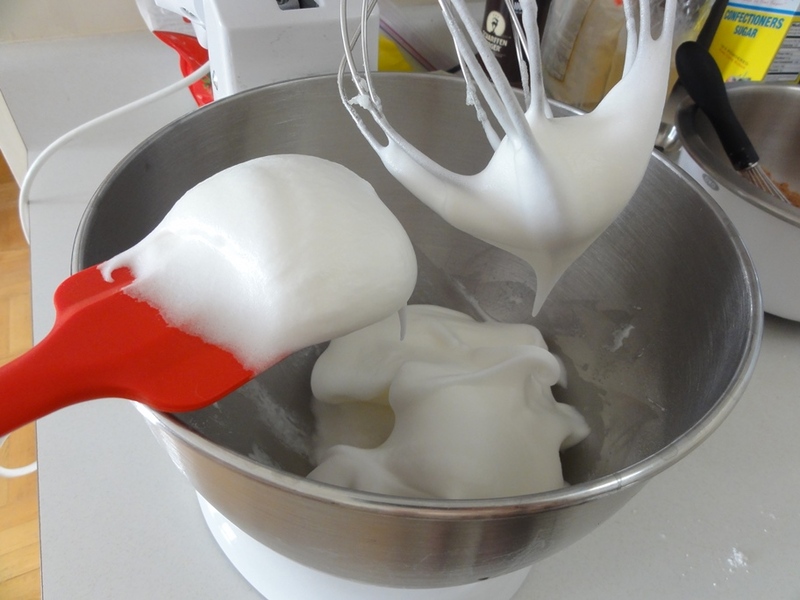 Take it slow, don’t apply a lot of force to the spatula, and stop as soon you have a consistent mixture. In addition to this being my first egg white recipe, this is also my first decorated cookie recipe! 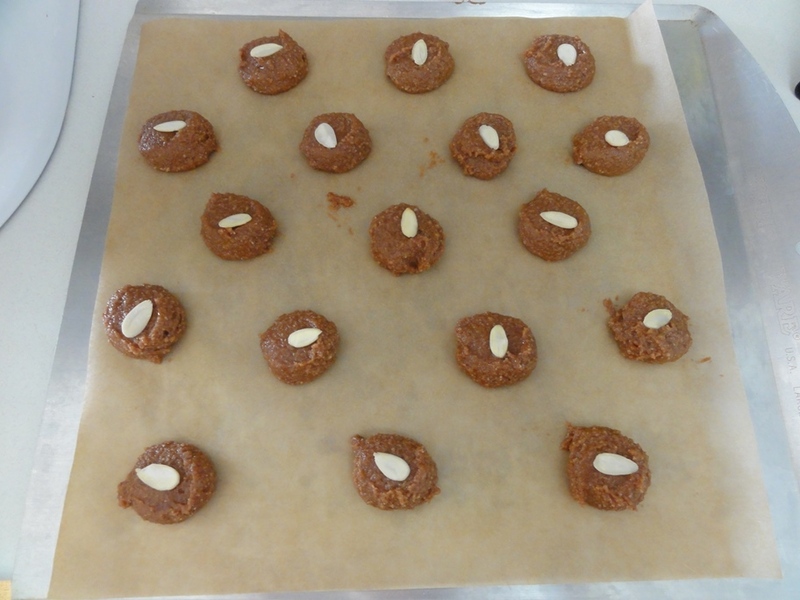 The cookies hold their shape very well while baking so you don’t have to worry about their spreading out. When the cookies are done the outsides will be firm and there will be just a little springiness in the cookie when poked with a finger.